Royal Gold Kings Mix is your plant in bag solution for light deprivation, greenhouse, indoor, and outdoor gardens of any type. Born out of a need for simplicity in application and functionality. Kings Mix is a well-aerated, moderately amended coco peat blend. As Royal Gold’s first product to include peat moss, this mix will appeal equally to traditional peat gardeners of all styles, the coco curious, as well as die hard coco fanatics. Featuring coco chips (croutons) to balance aeration with lingering water retention, this mix is intended to dry quickly and accept immediate feeding. With a light amendment charge including High nitrogen, high phosphorous Bat Guanos, and a mixture of other high quality dry amendments. 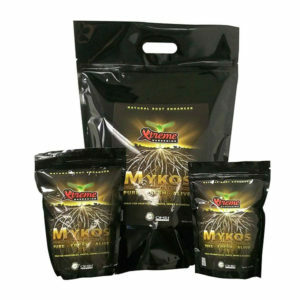 KingsMix has everything you need to sustain your plants for 1-2 weeks, but you can also begin a wide range of feeding programs right out of the bag. Due to the well aerated nature of the Kings Mix, it’s the perfect medium for slow drying, coastal and high elevation, spring and/or fall plantings or other cool weather applications. With all these properties the Kings Mix also excels at encouraging root development for propagation of seeds and starts, and is an ideal choice for developing starts into vigorous, bloom ready plants. Coming in a 3 cubic foot bag (about 19 gallons) that functions as your grow container, Royal Gold’s Kings Mix is your choice for premium soil in a fast ready to use format. 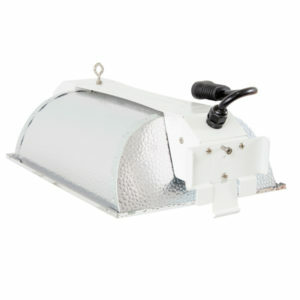 DE1000Zh Reflector: Hydrofarm engaged a renowned American lighting engineer to design the most efficient DE enclosed type reflector on the market. 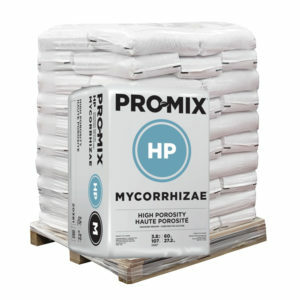 With its high perlite content, PRO-MIX HP provides a great growing environment to growers looking for a significant drainage capacity, increased air porosity and lower water retention.